The reason why this review was so poor, this facility does not use qualified providers. These providers came from the Philippines on work visa, and if investigated further I am positive it will show they do not have the required documents for this type of work in the United States. There is a dog living in the house which has been observed on a daily basis, urinating in patients room to include my relatives room. Providers do not exactly cook homemade meals, all meals are frozen meals heated up. You are given a bell like at a hotel desk to call for assistance, but at night the (1) provider there doesn't always come. Also (1) provider couldn't speak English, and was relocated to another house that belonged to owner when I questioned the other staff. Just saying that you should do better research than I did before taking a resident there. I was shown this place by a assistance locator, I was also desperate I guess. The best way to get to know a community is by scheduling a tour. See the facilities, meet the staff and residents, and get a feel first hand what it's like to live at Medina House Assisted Living. Welcome to Medina House. Our inviting senior living community offers residents the comfort and convenience of a hassle-free lifestyle free from the burdens of home ownership. 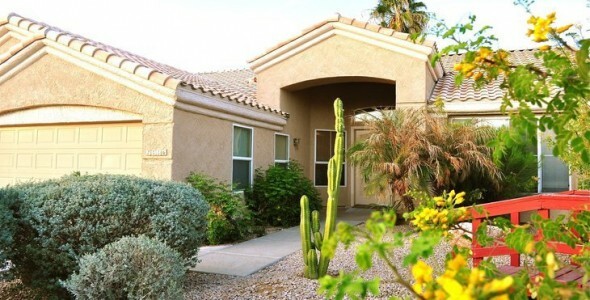 Located in the city of Mesa, we provide a variety of on-site services to help our residents enjoy their stay to the fullest. In addition, we provide a choice amount of amenities to promote a relaxing experience for individuals residing at our community. Accommodations come in a selection of options. Depending on the individual, Medina House could be the perfect fit for seniors seeking senior living options in or around Mesa, AZ.